Michael Harlow is, with Emma Neale, judging this year’s National Flash Fiction Day (NFFD) competition. We are grateful to him for the time he has put into guest editing this issue, and we look forward to the shared insights of the Harlow-Neale team this year at NFFD. Michelle Elvy: How fascinating working through the stories this month with you, Michael. I found myself reading at first on my own, with my own individual gaze, and then reading again once I had your feedback to consider as well. Tell me, when you first encountered the short list of 55, what were your early impressions and how did you go about your own initial assessments? Initially, I’m looking and listening to the language and its music. The text’s words and images; metaphors or word-symbols, or any mythic references. I tend to read all of the submissions aloud at some point; and I’m always listening for how the language goes beyond mere recording of an experience (actual or imaginal) into the feeling area – what is the language saying or trying to express in terms of what the poem feels like – the emotional colour, if you like, of all the language doing its stuff. And then, how is this conveyed or suggested to the reader. So, I’m not really for quite a while so interested in what the text is going to ‘mean’ – the meaning, if it is there or even elusively there, will emerge out of how the language and its thoughtfulness is composed. Every word has a long and deep history, so it makes good sense to read the words (and their translation into images) first, and see what you discover (or you don’t). And I try to keep an eye and ear on discovery as distinct from mere invention (tho imaginative invention is useful indeed). It is this kind of poem, although there are always going to be exceptions, that I short-list for further readings, and in this case, in discussion with my co-judge. And one has to be always alert for the unexpected or the quick surprise that can stretch (or even turn around) one’s prescriptive sense… Taking a collaborative approach – a co-reader-judge – is just very valuable indeed; and more democratic too. ME: For me, reading your comments helped solidify some of my own early responses, but on the other hand I also found myself thinking harder on the merits or pitfalls of a particular story, so as to engage in a meaningful discussion. Beyond content, reading as an editor involves examining story structure, dialogue, pacing and polish. For me, a story may stand out for its originality, despite some weaknesses. And discussing each of the 55 short-listed stories really brought strengths and weaknesses into focus. MH: Your response is spot-on, and says a great deal of what I could say, and more; and says it well, too (thanks). I can at this point only add that your editorial approach to reading the particulars – the consideration of the various elements of language being used, and the grammar of thought have been very helpful indeed, and have kept me super alert to the more formal structures that are so important, particularly in the short-form storytelling. Again, the value of a collaborative approach. And your ‘informed alertness’ that you bring to the process can and will inspire confidence in the writer. ME: We had a number of strong submissions that leaned toward prose poetry, and some you noted for their tone-poem quality. I wonder if you could discuss the line between story and poem, and the importance of sound in writing, with regard to a few of those? MH: As a reader (and practitioner) I am always aware of the prose that is in poetry, and the poetry that is in the short-prose form – one of the distinctive markers of the prose-poem. In this short form is a coming together of the sentence, which drives the narrative; and the line in poetry, which contains it. Bringing them together in the same field or space is one of the fundamental ways that the prose-poem creates a kind of dynamic tension that suits the short form. I often think of it as a visual model, that of a cruciform: the narrative aspect of the sentence moving along a horizontal line; and the poem line in rather a vertical movement, a kind of wonderfully composed constraint – which makes images, for example, more heightened, and animated, and that carry much of the search for some kind meaning the text might be struggling with and/or leading to…. This is perhaps a little too technical for this kind of project response, and is being developed in an essay I’m composing about flash. We did have a number of what I think of as tone-poems, which as a form has been around since the beginning of musical (and poetry) composition. When I think of the tone-poem I am thinking of the music that is an inherent possibility in all language. And how the music of the language – its colour, emotional attitude and expressiveness, its lyric reach – can convey meaning. In many ways, then, it’s the sound-of-sense at work in the text. It is the phonic or sound-sense of the language, which is so important especially in the tone-poem to convey some of the feeling aspect, that breathes life into the text. ME: We had wonderful variety in terms of story contents this month; remnants has proven to be a rich theme. Did the strongest stories strike you for the way they went about tackling the theme, or because of imagery and poeticisms, or clarity of language, or something else entirely? And let’s also talk about ‘making strange’! MH: The remnants theme was always at the back of my mind as kind of sideline ‘referee’, since it was and is quite a broad theme, with plenty of room for variety of interpretation. Foremost, I was looking for and listening for how the language – its clarity, its aliveness in its imagery and metaphoric reach, and its sound-of-sense – engages the imagination in looking for ways to convey how it is we are so mysterious to ourselves and others… Which leads into ’making strange’ – an extension of which is discovering the strangeness that is in the familiar. By ‘strangeness’ I don’t mean the over-cooked quixotic, or the surrealism of the automatic writing project of some of the early Surrealists, or the contrived hyper-fantastical (that’s for another genre of writing). Rather: I am talking about trusting the unconscious, which is after all a major source of the imagination and the individual curves of the imagination – to make visible the often strange underworld of language. This can and does, if one listens for and to it, exploit the natural associative fluency that is the way the imagination works. All artists/writers/composers know that one is never in complete control of what we are doing when we are creating. The phrase itself (making strange) was at the centre of the Russian Formalist project, and at the core of the early beginnings of the poème en prose in the work of Baudelaire, Rimbaud, Mallarmé, et al. Which suggests that this form was in fact a significant contribution to, if not the beginning of, the development of Modernism. What looks rather like an historical digression here is by way of locating the legacy, if you like, passed on to us as writers working in the short-prose/prose-poem form. ME: It was so interesting to see that one of the stories selected is written by a 15-year-old writer. I am encouraged by young writers delving into the short short form – and as you know we have a youth category in this year’s NFFD competition (judged by Fleur Beale and Heather McQuillan). Do you think the practice of editing down to the essence of a thing is important for new or young writers? And do you think it harder than it seems? MH: I like your attention to ‘youth writing’, good one. It’s very important to encourage and sometimes even nurture, by way of editorial/editing feedback for all or any of the reasons we might think of. I also think that one shouldn’t overdo it. Slashing away with the ‘red pencil’ too enthusiastically can produce a counter-effect often, in that it can be too devastating to the beginning writer – overkill syndrome. It was quite helpful in our collaboration that you cared so much about this, and that you were so ‘spot on’ in your reading comments. Better I think being selective rather than too inclusive. Editing a manuscript by request is another matter. Young writers can benefit from good editing skills in a number of other writing forums… I’m being a bit long-winded here, so you may need to exercise some of your very fine editing skills! ME: We often say small fictions have a way of capturing a small moment, a thing that rests there at the surface, or on the page, with other layers happening underneath or at the edges. And yet sometimes a 250- or 300-word story can span a lifetime. ME: One of the things I enjoy about reading for Flash Frontier is selecting a set of stories that work both individually and as a whole – as a collection. The rewarding challenge, for me as an editor, is finding the hidden gems and helping them shine. Reading for a competition, in contrast, requires a different kind of focus: there is no room for story edits, for re-thinks, for subtle tweaks or rearranged ending phrases. And so, a much harder place for the reader/ judge, because in the end there is less room to be forgiving (and encouraging) to writers. With that in mind, I wonder if you can share some thoughts about what you will be looking for in the flash fictions you read for the 2017 NFFD competition: pitfalls that may disqualify a story, or strengths that may make another stand out? MH: I think I’ve covered much of this to a large extent in my above comments. I’ll be looking for and listening for much the same kind of stuff that I looked for in individual texts for Flash Frontier. My focus will generally be the same, since by the nature of the exercise, ‘editing’ doesn’t come into it, as you suggest. That said, I generally like to say something in the judge’s comments about the final choices – an indication, however brief, about what I admired and respected. Emma Neale is, with Michael Harlow, judging this year’s National Flash Fiction Day competition. This month, we talked with her about poetry and prose, ‘glimpses’ and ‘flickers’ and compressed moments. We are delighted to hear some of her insights into reading and writing short forms of varying kinds. We hope you enjoy this interview as much as we have. Flash Frontier: Let’s begin with compressed writing, since you will be judging the 2017 NFFD competition, with Michael Harlow. What draws you to the form? And what writers of flash fiction have you read recently that you enjoy? Emma Neale: I think the first time I was aware of the possibilities of very short fiction was when I read Virginia Woolf’s selected stories, which she calls ‘wild outbursts of freedom’ – I love the sense of these glancing, shivering rays of prose that reach for something beyond themselves. As the critic Sandra Kemp says, ‘Each moment flickers towards another’ – and Woolf herself described some of ‘these little pieces’ as arriving ‘all in a flash, as if flying, after being kept stone breaking for months.’ There are obvious links to Katherine Mansfield, there, and her ‘glimpses’. Although most of Mansfield’s stories are longer than the flash parameters, some of the fragments in The Katherine Mansfield Notebooks, or her Collected Letters, I think could be called flash fiction – they’re such evocative capsules of sensory and psychological observation that it feels as if, were they to run on for any longer, they would dilute their own potency. Other writers of flash fiction, who might not call their short works ‘flash’, but whose I’ve really loved, are Charles Simic, Janet Frame, Jayne Anne Phillips, and Frankie McMillan. Simic’s book Dime Store Alchemy : The Art of Joseph Cornell includes work you could also call prose poetry, or even ‘flash biography’, or ‘flash bio-fiction’ – or flash ekphrastics. Or flash bio fictive ekphrasis? So small, so capacious. He uses Joseph Connell’s shadow boxes as starting points for his own surreal prose reveries that float up from the art works – almost as if Cornell’s boxes have released their own dreamy speech bubbles, with Simic as their amanuensis. I love the fabular touch in Simic’s work; he’s a kind of poetry inheritor of Grimm’s fairy tales, I think. There are several Janet Frame short short stories that could slip into the ‘flash’ holding pen; and I love the way her work is so grounded in a piercingly observed social realism but then often gives a devastating cry into metaphysics, abstraction, a dark, analytical shock at the end. It’s as if she has altered the ‘twist in the tail’ tale so that it’s not a plot revelation she gives us, but a sudden ripping away of the veil of social pretense and practices into, often, the terrifying truth of mortality. Jayne Anne Phillips is another intriguing flash fiction writer; frequently she explores the power dynamics, distortions and delusions of desire/sexuality in her very short work – and I love the strange, compressed, often overheated imagery she uses. I had the wonderful experience of editing Frankie McMillan’s My Mother and the Hungarians last year – the first time I’d edited an interlinked series of flash fiction like this. I was completely engaged and transported by the way she managed to make each flash fiction cup its own mood, and yet also managed to carry them all successfully stacked on the narrative’s tray. There is a gentle combination of comedy and sympathy in the work that I think is an extraordinary tonal achievement. FF: It’s said that flash fiction shares some characteristics with poetry. Can you comment on that, as a writer of both prose and poetry? EN:Compression is often called the main shared characteristic – although as soon as I recall that, I think of works like Paradise Lost, and the air goes out of that conviction. Woolf pointed out in her own work that her short fiction had more ‘rhythm’ than ‘narrative’ – so any rigid definition gets into trouble, I think, because every writer treats the form slightly differently. One might work hard to elevate plot as the main attraction of a flash piece; another might want to evoke atmosphere or character. When I try to write poems, I’m trying to use sonic elements as the main distinguishing characteristic that would separate them from prose. So that means using the line break as evocative pause/silence/breath; assonance; alliteration; rhythm; rhyme and partial rhyme – although I very rarely use strict traditional metrical patterns and end rhymes combined. and of course there were the children. –which introduces the reader to a whole raft of ideas and themes. Where do your stories or poems begin? Do they begin with the opening lines, or do they start someplace else? And what do you recommend to writers are they set about thinking of opening lines? 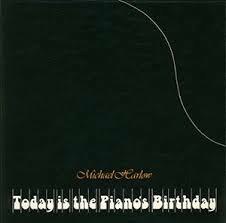 EN: The poems tend to begin with the music or cadence of a particular phrase, although not always. Sometimes they do begin with an image that either troubles me or lifts me in some way. I write more prose poems than I do short stories; and in these, atmosphere is more important than narrative. The ‘how’ is more interesting than the ‘what’, in other words. In my novels, however, the dynamics between people and the question ‘what if?’ work together to feed a longer meditation on how characters get themselves in and out of various psychological predicaments. FF: Your poetry was praised by Vincent O’Sullivan for its ‘kitchen-familiar and cosmic-wide attentions’, for the way you write from your own heart and experience but with words and images that resonate out to us all. We see you draw on everyday life and small observations to create art out of life. Can you talk about the art of observation, and the beauty in detail? EN: I think I learned this mainly from reading Mansfield and Frame during my PhD study. Their use of sensory image and metaphor taught me to look up at the world around me and try to convey how it presses against mind and skin. It’s also been a pragmatic response to juggling parenthood with work and writing. I haven’t had the time or resources to research grand historical or social movements; I’ve had to, increasingly, seize moments on the run. Although, that said, each novel I write has involved some research – just not the years and years in archives that I fantasise I might have had if I – well, let’s be realistic – if I were a completely different, less shambolic and more patient person. FF: Can you tell us how you started writing poetry, and how your poetry may have changed or evolved over the years? What have been some of your major influences? And some of your favourite poets? EN: I started when I was very young and can still remember my first lesson in lineation from my primary school teacher; I was fascinated by the rule that a line that ran on too long for the right margin had to be stepped under itself. For some reason I found that urgent and thrilling. Before that, though, my mother had read poetry to me regularly – strong rhythmic expressive work like AA Milne’s poems for children, nursery rhymes and so on – and I never lost the habit of foraging bookshelves for more poetry. I kept a commonplace book from the age of about 11 or 12; I wrote in my spare time as a teenager, and started buying books of poetry for myself probably from about 15. Major influences are hard to enumerate because I think unconscious influences are probably just as strong as writers I’ve fallen for and would instantly name. But – in terms of obvious education – I studied modern poetry at Victoria University of Wellington, and loved writing about Plath, Hughes, Larkin, Heaney; I tried to read everything by Bill Manhire, who was a lecturer of mine in both literary history and creative writing; I loved work by all kinds of New Zealand poets – Hone Tuwhare, Michael Harlow, Cilla McQueen, Ruth Dallas, Lauris Edmond, David Eggleton, Anne Kennedy, Paula Green, Vincent O’Sullivan, Jenny Bornholdt, Andrew Johnston, Paola Bilbrough – yet listing seems both reductive (there are many others), and also slightly misleading, as it’s often particular poems rather than entire bibliographies that have stayed resonant for me. I had very influential letters and sharp words from writing age-peers of mine when I was in my 20s; certain comments cut me to the core, as they really only can when you’re young — but I think they did help me both to develop an internal quality control and also a stubborn decision to carry on certain quirks. I’ve been through obsessive reading phases of poets like Louis MacNiece, Emily Dickinson, Elizabeth Bishop, Wallace Stevens, Louise Glück, Charles Simic, Anne Carson, Jack Gilbert, Pascale Petit, Robert Hayden, Anne Hébert and others, none of whom I think I can write anything like – but I also think that we read to take us away from ourselves and our internal soundtracks. So tracing influences is very unscientific. I try to stay open to poetry by younger writers now too: Warsan Shire, Alvin Pang, Joan Fleming, Kate Tempest, Jack Underwood, Emily Berry, Lemn Sissay – although I read in such a fragmented, often unscholarly way now, that I don’t know if anyone can really replace the deep and unconscious influence of the early poets I discovered when 30 and under. He knows she can’t reply. turned open when he’s alone. as if a woman tents him in her sleepy hair. fold the air with a crêpe paper rustle. He enters her name again. wooden toggles slipped from their soft cotton locks. the fibres that sundust an earlobe. Let’s not say anything more, now. –which makes us wonder: when are words arranged on the page a poem, and when are they a story? EN: It all comes down to sound. Although this poem doesn’t have a regular stanzaic arrangement, the things that distinguish it from prose to me are the placement of the line-break; the notation of silence at line ends and stanza ends; the sonic emphasis on prosody, even if a traditionalist would only hear trace elements of that. I think if you read that poem aloud, you’ll hear how the line break helps to increase the stress on certain sounds. FF: Besides being an acclaimed poet and storyteller, you are also a novelist, with your latest novel, Billy Bird, having been published last year. Can you share with us some thoughts on the difference between writing a novel and writing poetry? Do they overlap at all? Do ideas and stories find each other in unexpected ways? Do you lock yourself in one room for one kind of writing, and another for the other? 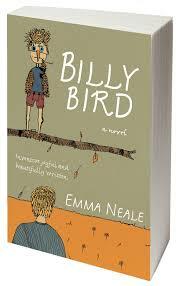 EN: This is a very tough one to answer briefly as Billy Bird started as a verse novel, and then broke out of that cage and became a novel speckled with different aspects of poetry. Cheekily, I’ll refer you there to an interview I did with Sarah Jane Barnett at The Pantograph Punch. At least that’s an honest repetition, rather than self-plagiarism. FF: And finally, what are you looking forward to as judge of the 2017 NFFD competition? Can you share some key tips to writing excellent compressed stories? EN: I’m looking forward to something piquant, with unexpected yet apt tonal or narrative shifts. I’ll be fossicking for startling imagery married with a kind of forward motion – although I’m also looking forward to seeing how many writers go for narrative, and how many go for atmosphere or character instead. I want to see how many different ways writers flex the form. My advice would be to ask yourself if the imagery you’ve chosen is doing more than just prettifying the story: is it also carrying the right psychological load for the piece? The other is to imagine the story read aloud. Even with this word limit, would it bore your neighbour on a bus ride downtown? Or would it leave them wishing they didn’t have to leap off at their destination? 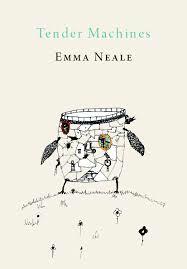 Thank you, Emma Neale. Here’s to the 2017 NFFD competition. Writers, get writing! This year, National Flash Fiction Day has added a Youth (18 and under) category to the competition. We are excited to see more young people experimenting with the compressed form, and we welcome award-winning YA novelist Fleur Beale and the 2016 NFFD winner Heather McQuillan as judges of this new competition. To the youth of Aotearoa: Get flashing! Flash Frontier: What are the key elements to good writing for young writers to keep in mind as they prepare for the NFFD competition this year? Fleur Beale: Draft and redraft. Take out any words that aren’t essential. Keep the story compact, i.e., only one or two characters, one setting and one happening. Embrace the unexpected. Heather McQuillan: I absolutely agree with Fleur. Writing short requires lots of changing and rearranging to get right. You also have to tell your story in the best words possible. When you redraft make sure that nouns are specific and verbs are lively. Adjectives must earn their place and adverbs are redundant. Arrange those best words into well-constructed sentences and read them over and over to check for meaning, flow and effect. FF: What are common pitfalls of new writers trying their hand at compressed writing? HM: Even though you only have a few words you have to write a story that the reader can understand. Too often I’ve read (and written) stories that leave far too of the work much up to the poor reader. It’s a careful balance: too obvious is no fun and too cryptic is frustrating. They may be wondering along the way but at the end they have to be able to say, “Aha! So this is what it makes me think” rather than “What the heck was that all about?” Consider your reader. The other common problem I’ve seen from young writers is trying to squish too much in. You need to think of this as a scene, maybe two very short scenes, not the whole movie. In this instance you don’t need a beginning; jump right in. But you do need something interesting to happen and you do need to bring about a change or shift, either for your character or your reader – or, hopefully, both. FF: Can you point to any examples of excellent writing by young people that you would recommend? suggest that you ask at your local or school library for ReDraft: Winning Writing by New Zealand Teenagers (the 2016 edition is titled The Dog Upstairs) or Write On magazine (the latest edition with the Tetris cover has a flash fiction feature), or look online at fingers comma toes to get an idea of what great writing by young people looks like. But remember, we want to hear your voice, your take on what flash fiction can be. FF: What books are you excited about this year? What are you currently reading, and is it captivating you? FB: I’m hanging out to get hold of Maurice Gee’s latest, The Severed Land. Am also very excited that my niece Juliet Jacka’s next two books in her Frankie Pots girl detective series are out. They are for a mid-grade audience and so much fun. HM: Like Fleur, I’m awaiting the arrival of my copy of The Severed Land by Maurice Gee. It’s in the mail. I also read today that Philip Pullman has a new trilogy, The Book of Dust, which crosses over with his Dark Materials series and I actually did a tiny dance of nerdy excitement. I do love great fantasy and science and speculative fiction! HM: I’m waiting for a letter from a publisher that tells me they have accepted the YA novel I finished last year. It is all about how unfair life can be, particularly when an evil corporation runs both schools and prisons and makes more money per prisoner than per pupil! But it’s mostly about how we should speak up for our friends, for ourselves and for what is right ‘Even if Your Voice Shakes’ (that’s the working title). I hope I don’t have to wait too long for the acceptance letter! I am also partway through a flash/verse novel based on the experience of Filipino migrant teens in post-earthquake Christchurch. My main new project will be a collection of flash fiction stories that will contribute towards a Masters in Creative Writing Thesis. And I will still be tutoring at The School for Young Writers in Christchurch. I love teaching but sometimes the kids write such amazing things they make me envious! This entry was posted in NZ author, Uncategorized and tagged Emma Neale, flash fiction, fleur beale, Michael Harlow on March 6, 2017 by Paula Green.